US equity indexes closed moderately mixed, sp +1pt at 2360 (intra low 2350). The two leaders - Trans/R2K, settled +0.2% and -0.1% respectively. 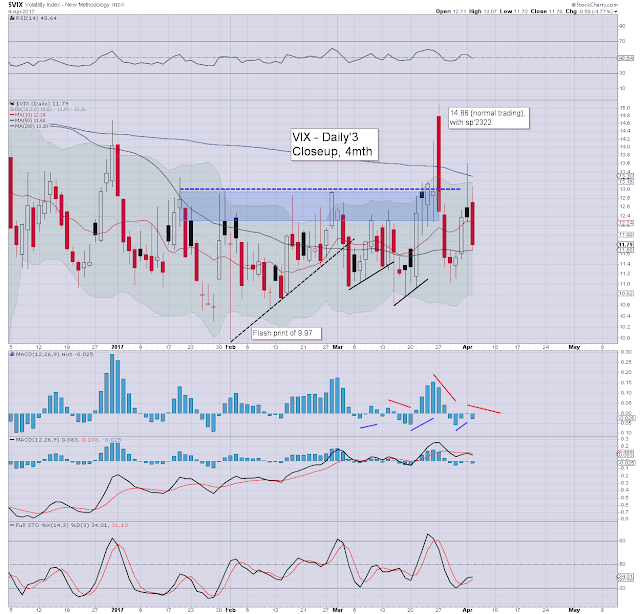 VIX settled -4.8% at 11.79. 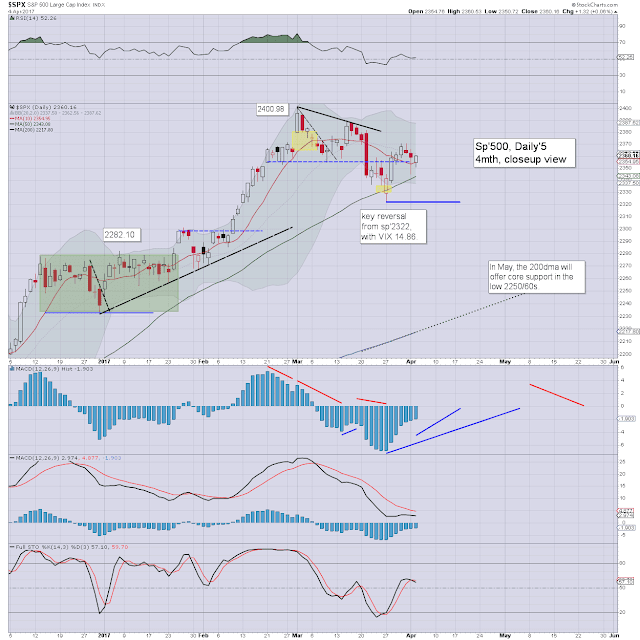 Near term outlook offers a test of big overhead resistance of 2380/90. A break into the 2400s looks overly difficult until the latter half of April. 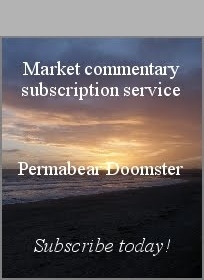 US equities saw some morning weakness, but then swung upward... closing in minor chop mode. Price structure across the last few days is a viable baby bull flag.. which argues at least for a test of sp'2380 within 3-4 days. 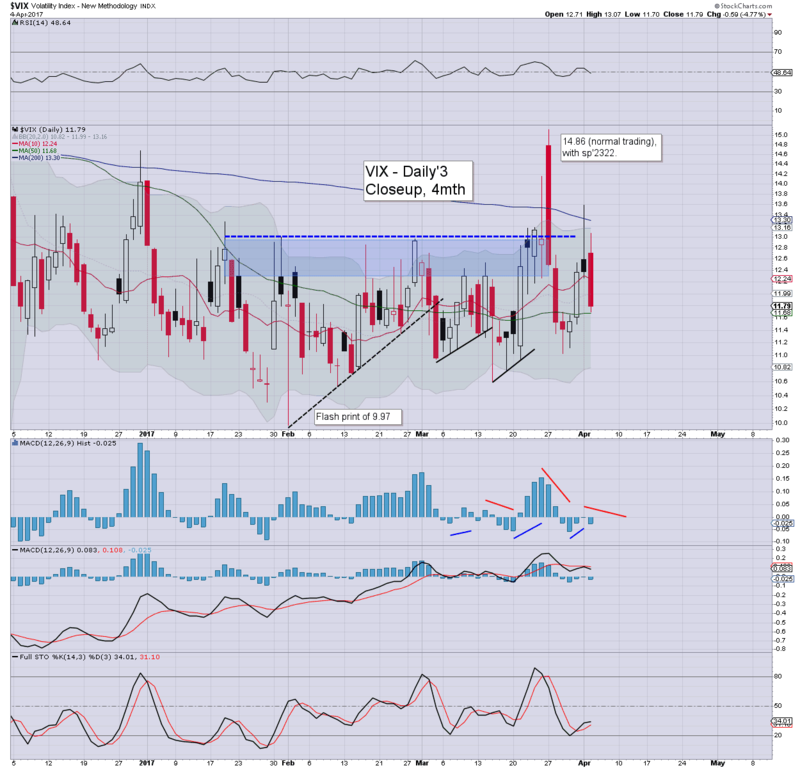 Volatility remains broadly subdued.. although again, we did VIX in the 13s today. If sp'2380... a weekly VIX settlement in the 10s is on the menu. 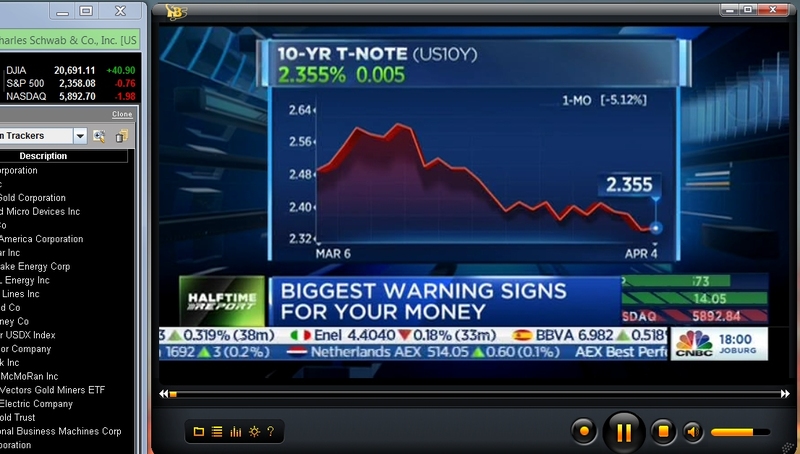 As US bond yields have recently cooled, many within the mainstream have started to get a little spooked. 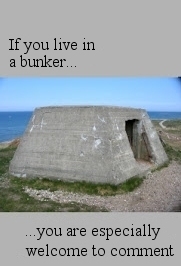 I can kinda understand it. We've seen financial stocks cool, but then those have hyper-ramped since summer 2016. The recent cooling is arguably just a natural retrace. This mainstream concern is largely just a case of lack of perspective. Did everyone already forget Bank of America was trading in the $11s last June? Does everyone still not realise the importance of last November's breakout above the $18 threshold? The notion that the financial's bullish run - which really only began in Nov'2016, is at/near an end, is nonsense. 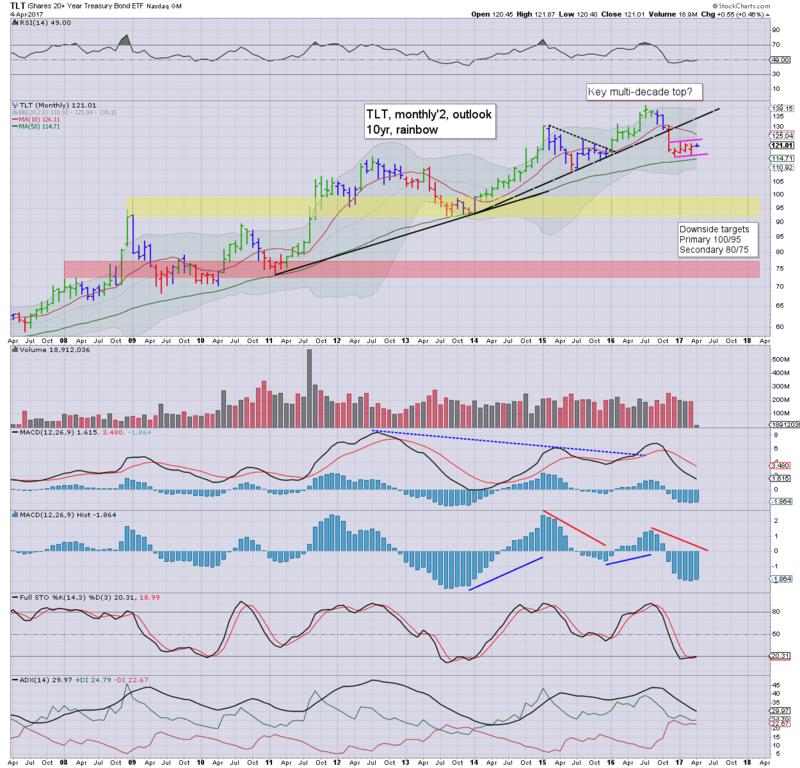 Price structure is a very clear bear flag, and TLT looks primed for a broader decline to $100.. whether by year end or in early 2018... it makes little difference. Extra charts in AH via https://twitter.com/permabear_uk Retweeting guarantees citizenship.